I’m very excited to be sharing this recipe with everyone. 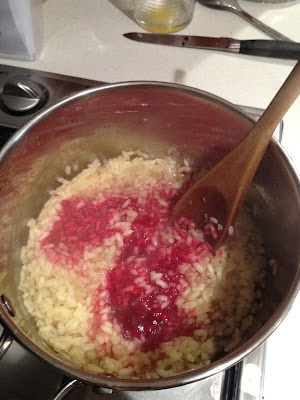 It wasn’t my first attempt at making risotto but it’s not something I make all the time as I’m not a big fan of white rice but I bought some lovely beetroots and the weather being so cold, I just felt like something warm and inviting. This dish is quiet rich and earthy and I just love the bright colour – so good. So here’s my recipe, I hope you like it. Heat vegetable stock if you are using liquid or if like me, boil some water, add stock and mix well and keep next to you so you can add as you go. Heat oil is saucepan and add garlic, onion and rice. Make sure rice is well coated and cook until onion is soft, garlic is fragrant and rice starts to make little popping sounds. Be careful not to burn the garlic or else you’ll get a bitter taste. Add wine and stir to combine. Once the wine has been absorbed, add a ladle of stock and stir. Leave to be absorbed and don’t add anymore until most of it has been absorbed. Repeat the process but reserve the last ladle of stock. Blend this with 1/2 the beetroot and add to your risotto. Chop up the other 1/2 of beetroot into tiny cubes whilst the liquid is absorbing and add with the silverbeet. The rice should be cooked by now and most of the liquid absorbed. Turn heat off and add parsley, lemon rind and lemon juice. Stir to combine, add some cracked pepper and you’re ready to serve. I served this with a simple kale and orange salad, and I think it was a good match. The richness of the risotto paired with the astringent salad really was a nice balance if I do say so myself. For the salad, just toss chunks of kale with orange segments, some sliced spanish onion and chopped parsley and dress it with a simple lemon and evoo dressing. A bit of sea salt and cracked pepper to taste and you are done. Quick, easy and best of all, super delicious. 2 weeks down, 10 to go. Something that was on my mind a lot since commencing this challenge was how I was going to go about eating out. Most of my social interactions revolve around food, and most often than not, include going out for a lovely meal. I don’t ever want to be seen as the annoying friend who can’t eat anything, and who everyone has to accommodate for. I would hate me if that was me! To my relief, the 3 times that I have eaten out since the start of the challenge, have been very good experiences. And not only that, but i’ve also made a little gem of a discovery! But let’s start with the first place. Spencer Guthrie is the name of the restaurant and it’s located in Newtown, Sydney. I couldn’t find their website for you but you can google the name and have a look at some pics of their food. It’s a cosy space, with friendly and helpful staff who didn’t seem perturbed when I questioned them about the menu and the possibility of veganising something. I’ve worked in hospitality in the far away past, and I know that chefs hate to change their menus and I can understand that, they want people to eat their food as they have interpreted it, it’s part of their art. I get it, and I can definitely appreciate it. That’s why it’s hard for me to have to ask but what else can one do? Luckily, the restaurant has made allowances for plant food enthusiasts and provide a vegan special! So, thank you to my bestie for taking me here and for having such great taste. And here it is. So pretty, I didn’t feel like I should eat it! It was quiet delicious, and the little turnips that you can see were pickled and so yummy. The next place i went to, was my choice as I have been there before and I knew that they made vegan meals. It’s called The Nepalese Kitchen and it’s located in Surry Hills, Sydney. It’s a consistently good place to eat, and they have a large cushion room upstairs if you have a big group. I don’t have any photos of the food because our party was rather large and ravenous and the dishes got attacked before I could get my camera out! I did tell the staff I was vegan and they were able to adjust the banquet menu to contain a few vegan options. Third place is Nourishing Quarter. It is also located in Surry Hills and it really is a little gem of a place. It’s cutely decorated with old and nostalgic items, and you somehow feel like you’re going to dinner at your eccentric and nurturing grandmother’s house, who used to be a wild and carefree young woman that once ran away with a gipsy and lived a life of adventure all over the world. The food was AMAZINGLY good, and our little group, who were all non-vegan, loved it as much as I. All dishes are based on whole grains and are so flavoursome and textural, it really was a pleasure to eat, as all meals should be. I will most definitely be going back there, the sooner the better. We had ‘cheese’ cake for dessert and no one could believe that it didn’t have any animal products in it. But, don’t take my word for it, go there and try it out for yourself. And now I’ll share a little gem I’ve found, it happens to be in Newtown, Sydney. I’m having visions of sunny days, pushing my girls there in the pram, whilst we work up an appetite for one of their delicious desserts like the one I got to take away on Saturday – Neopolitan Ice Cream Cake. Enough said. 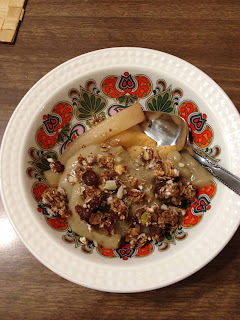 It’s called Sadhana Kitchen and you can check them out here: http://www.sadhanakitchen.com. It’s the first cafe of it’s kind in Sydney and everything they make is raw and vegan!!! I’m so totally excited about this place I can hardly contain my excitement. yay! The ice cream cake was so delicious and although I know I should have shared it, it was really too good to spare even a teenie tiny little spoon full. So to the owner, I salute you! 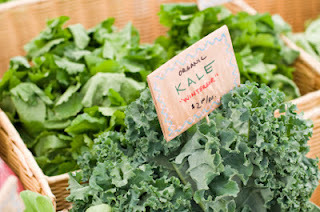 Really am grateful that you are sharing an obvious love for good, healthy and nourishing food. Before I go, I want to share a couple of recipes with you. The first one is a breakfast recipe that I came up with when I craved a savoury breakfast. I could eat porridge until the cows come home but sometimes you just need something savoury. Process tofu, milk,spices, salt and yeast until blended but not completely smooth. Heat up coconut oil in frying pan and add tofu mixture, cook on medium heat until slightly more golden in colour and warmed through. I served it with some lightly sautéed silverbeet and wholegrain spelt toast with avocado and chilli flakes. I would have added some sautéed mushrooms but I didn’t have any on hand and I think next time I’ll add some parsley to the scramble for an iron boost. The next recipe is what I had for dinner tonight. It’s more of a dressing recipe as it is what makes the dish really delicious. In a large bowl, place all salad ingredients together and pour on the dressing. Using a large flat spoon, gently fold the ingredients together to incorporate the dressing until it’s all covered in it’s yummy goodness. I served it with a baked sweet potato. YUM. I feel like I’ve been trying to do and eat as much plant based foods as possible to prove to myself that it’s just as normal as a diet incorporating animal products. I realise now I really don’t have to do that. Normal is very subjective. It is what it is and what makes you feel the best is what should be normal to you. My concerns re: eating out, amazing treats, delcious ‘creamy’ things, getting enough protein/iron are being eased the more I read and the more I see and experience. So now I will take a deep breath, wind down the momentum, and start fresh. I will try to get back to the normal routine of eating, which doesn’t always include cake and ice cream! My goal for this coming week, is to try and cut down on the sweet little treats by finding alternatives. I’ve got some pesto recipes that I want to try out and make some dips and ‘cheese’ too. We all find ourselves reaching for comfort food at times, everyone has something that they prefer. For me it’s always baked goods or crispy chips. Here’s two recipes that should help when the munchies attack. But remember, just because it’s vegan doesn’t mean it’s not calorific, so portion control is something to keep in mind with the more indulgent treats. mix olive oil, salt and nutritional yeast together. mix thoroughly through the kale. I use my hands to make sure each leaf is covered. Bake for 20 minutes on a tray lined with baking paper. They are ready when they are crunchy! I have had some suggestions from other kale chip lovers which include coating them in apple cider vinegar – instant salt and vinegar chips! 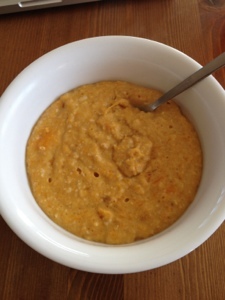 Also, for a more oriental flavour, try mixing some tahini with tamari and some grated ginger. Mmmmm, can’t wait to try out these variations. Now for some baked goodies! I’ve reduced the amount of sugar and oil as I also added some sultanas and almond milk. I suppose it’s probably more moist if you added the suggested amount of oil but I found my version was moist enough. Line the bottom with baking paper. Place sugar, oil, syrup and vanilla in a large mixing bowl. Whisk until sugar is dissolved. Add sultanas. In a separate bowl, sift together the flour, spices and salt. In small alternating portions, add the flour mixture and pumpkin to the liquid ingredients. Begin and end with the flour mixture. Spread the batter into the prepared pan. Bake 55 minutes to an hour. This went perfectly with a large mug of green tea when I needed a little afternoon pick-me-up. Another favourite snack of mine is corn thins. You can literally spread anything on them. I love to smear as much avocado as I can and then sprinkle with some dukkah and/or chilli flakes. 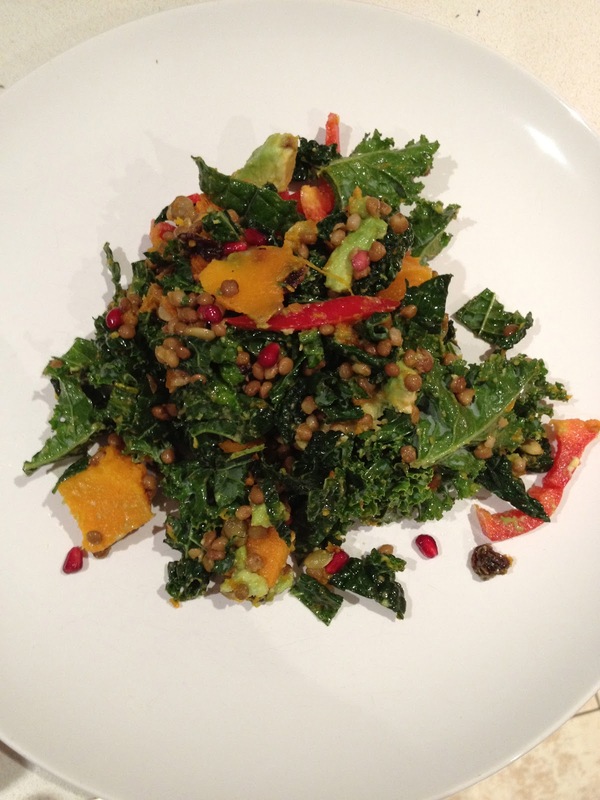 Quick, simple, nutritious and delicious. If I feel like something sweet, I can’t go past some unhulled tahini or nut butter and some chopped banana on top. If hunger strikes and I happen to be out and about, there’s always a sushi store around where I pop in for some delicious edamame. Would love to hear more snack ideas as I’m always looking to stock up on my munchies arsenal. 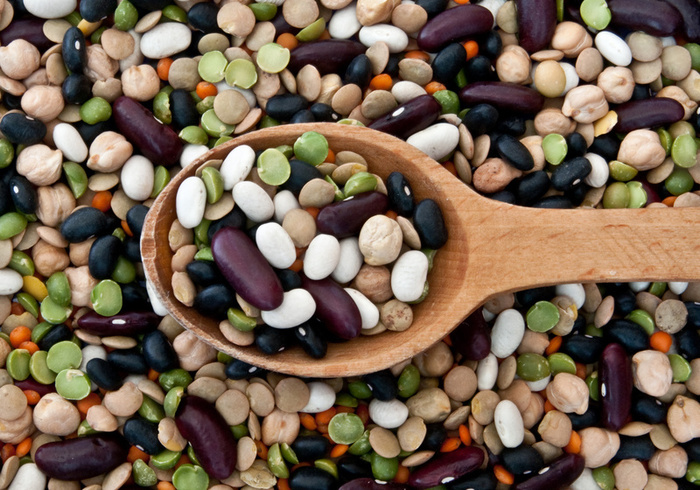 Just a quick one for those who are interested in experimenting with a plant based diet. There are some essentials that you need to keep in your fridge/cupboard to make preparing your meals a lot quicker and easier. And then you have your basic pantry items that most kitchens have. I find that the above are enough to make a meal in minutes. I mainly eat raw for lunch and dinner but I also like to prepare some quinoa or brown rice to last a few days. I also bake pumpkin/sweet potato so that it’s ready for me to use in salads, curries, soups or even to stir through some porridge like I did this morning. it was totally delicious, and I added some of the above spices and it actually tasted like a pumpkin pie, no sugar added and best of all, a serving of vegetables with minimal fuss (picture below). If I’m time poor, the quickest, and one of my favourite all time meals is some brown rice and quinoa mixed together with lentils, avocado, herbs and tomato. drizzle with some tahini & lemon juice, add some sea salt and a sprinkle of chilli flakes and you’re ready for some seriously nutritious tucker. what’s your favourite go to meal? Week one down, eleven to go. Ok, so i’ve learned a few things from week 1. First of all, as I’ve said before, preparation is key. If you happen to get caught out without any pre-prepared food, know where there are vegan friendly stores. Luckily, working in the inner city, there’s plenty of choice. Second thing I’ve found works for me is to have an eating routine. So the first thing I do when I wake up in the morning is to have a litre of water followed by a dandelion root tea. I figure if I can knock out 1 litre first thing, I can get away with missing a litre throughout the day if I get busy and forget to drink water. Which is something I do all the time. Third is this: VEGAN FOOD IS YUM! I’ve been experimenting with different textures and even got to do some baking. 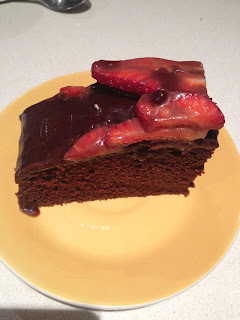 It turned out amazing, and even my chocolate cake loving but vegan disliking partner loved it. That’s pretty strong proof that it’s a good cake. Preheat the oven to 180 degrees celcius. Mix together flour, sugar, cocoa, baking soda, and salt with a fork, making sure it is really blended together. Add the water, vanilla, oil, and vinegar, and again, mix together so that it’s really blended together. Use a spatula to scrape down the sides if necessary. Pour into prepared pan (i used a square one) and bake in oven for approx. 40 minutes or until skewer comes out clean. Wait for it to cool on rack prior to cutting. 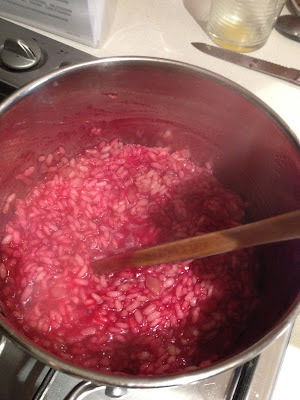 For the glaze: in a small saucepan, bring sugar, margarine, milk, and cocoa to a boil. Stir frequently; then reduce heat to a simmer for 2 minutes, stirring constantly. Remove from heat and stir for another 5 minutes. I dressed it with some fresh strawberries and it was delicious. This would also be a good cake for people with dairy and egg allergies and perfect for kids parties when you don’t want to leave anyone out who has allergies (except gluten). It was good to know that I can still bake some delicious things without having to worry about compromising taste, so I feel some relief about that. However, I think in a few weeks I might start trying to cut back on the sugar and probably wheat but I’m mindful that I’ve just implemented a big change in my life so I don’t want to send my body into shock!!! 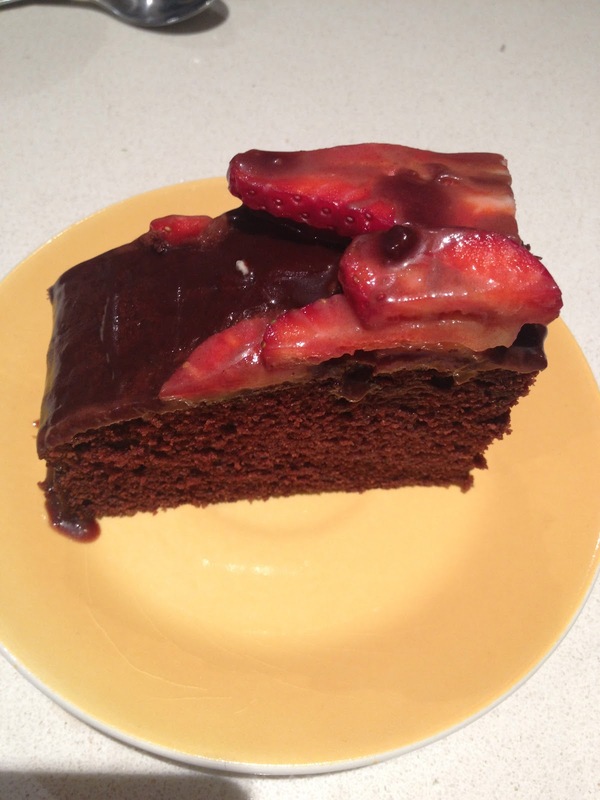 But before I do that, here’s another recipe for dessert that I developed. I make the granola bars ahead for me and the kids to have as snacks on the go and keep them in an airtight container in the fridge, it last for ages, but never more than 2 weeks in my house. I just crushed them up and used it on the dessert. yum! Place all ingredients in saucepan, cover and put on low heat for 2 minutes. The apples and pears will drop some fluid. Remove lid and cook until soft or to your liking. You can remove the fruit and continue to simmer the liquid for a few more minutes or until it thickens slightly. It will be plenty sweet. 1. In a medium bowl, beat together sugar, flour, cornstarch and water quickly for about 2 minutes, or until it’s creamy. 2. Bring the milk to a simmer in a medium saucepan. Pour 1/3 cup of the milk into the sugar mixture and combine. Add the sugar and milk back to the saucepan and heat over medium-low heat, whisking constantly. It starts to thicken right away. 3. Cook until it begins to bubble, whisk super hard for 30 seconds then remove from the heat. Add in vanilla. 4. Transfer to a bowl. 1 cup mixture of shredded coconut, sesame seeds and salted peanuts. Preheat oven on 180 degrees celcius. Heat wet ingredients until gently boiling and stir for about 3 minutes or until thickened. In a large mixing bowl, mix all the dry ingredients and then stir in the warm liquid. Mix thoroughly and pour into a tray lined with greaseproof paper. Flatten down (I put more paper on top and flatten it by rolling a glass over it). Bake, uncovered, in a moderate oven for 10 minutes. Allow to cool completely before cutting into squares or desired shape and size. Note: this granola recipe is awesome because it’s so adaptable. I use whatever dried fruit and nuts I have and sometimes, I add macca powder or raw cacao powder if I want it to have a boost of antioxidants with a chocolate hit. But just so you know, I haven’t just been living off desserts, as yum as that would be. I’ve found that I’ve been eating mainly the same things at each meal. So just about always porridge for breakfast, I just change the fruit that I put into it, or add spices. For lunch I normally have a kale/spinach salad with either lentils, chickpeas, red kidney beans or quinoa. I always add capsicum as I know that adding vitamin C rich foods increases iron absorption from the legumes, spinach and quinoa. I normally add avocado also, as I think it’s important to eat good fats, specially since my regular fish oil tablets are off limits. I have also been adding chia seeds to my water for a boost of omega 3’s. Dinner is mainly baked vegetables with a side of kale/spinach, legumes and some type of carb, mainly sweet potato, brown rice or quinoa. I do love tofu but I haven’t yet had any. I’m going to try some tofu recipes this coming week. A cauliflower and tofu curry with herbed quinoa is on my mind, specially in this cold weather. Here’s one that I had tonight. Mix the dressing ingredients and toss through the salad until all the greens and vegetables are coated with it. Food aside, I have noticed a few things happening with my body. The main one that is at the forefront is how regular I’ve become. I thought I was always regular but I’m more so now. In one short week, I feel like my insides have been cleansed and so everything that I eat, soon finds it’s way out. I don’t particularly love talking about my bowel habits but alas, I think it’s an important change. 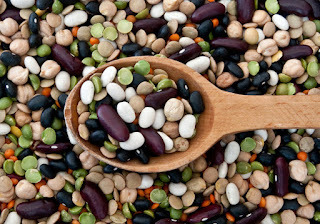 Certainly those with a sluggish system might benefit from eating a plant based diet, even for the short term. The other thing I’ve noticed is that I’ve lost some weight. Not that it was my intention but I guess it makes sense. Eliminating animal products also eliminates a lot of hidden fats/sugars that you find in ready made foods. You are mainly making your meals, so you can control what goes in and how much and also the quality of the ingredients that you use. I’ve also noticed that I’m actually full after my meals. I normally need to snack about an hour after but I’m not doing that so much now. I can’t really explain why this is. I do however, make sure that I have a good snack with me for the afternoon snack attack and I’ve also discovered the most amazing tea EVER. Seriously. As you know, I’m a massive sweet tooth and so what I do now is make myself a large mug of Celestial Seasonings Bengal Spice Tea with some soy milk. The cinnamon and liquorice root make it sweet and it has absolutely NO sugar. I have a feeling it will become my best friend when I attempt at reducing my sugar intake. Ok, just before I finish I have to tell you that my one big disappointment was having to give up Lindt dark chocolate, specially the one with a touch of salt which i’d just been getting into. 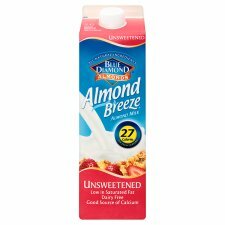 But, I have found a vegan friendly replacement at half the price. Yes, it just happened to be at Aldi and it just happens to be dark and it just happens to be organic. major win.